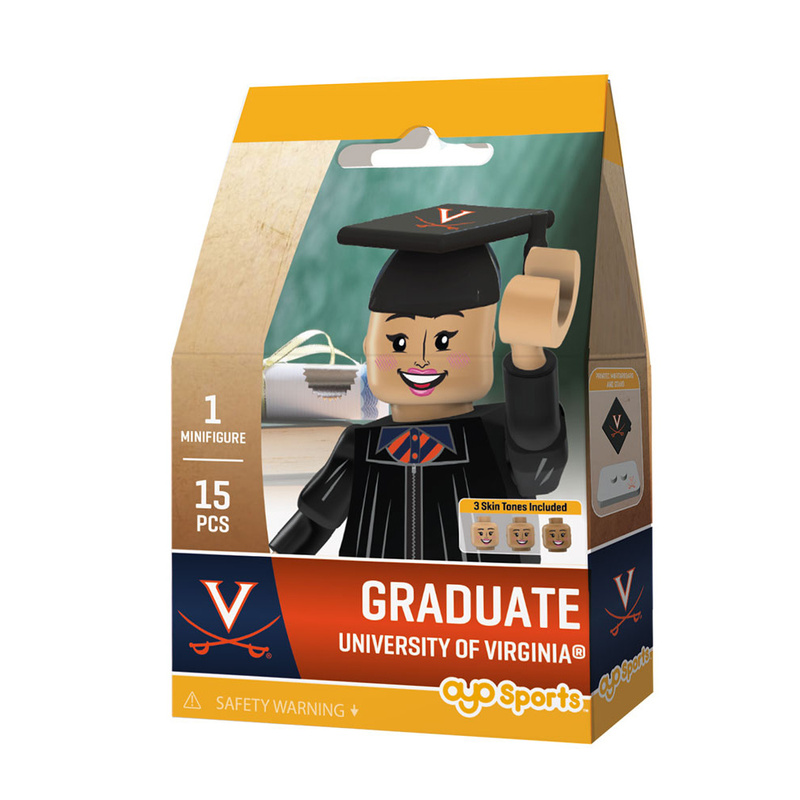 Celebrate College graduation with our graduation minifigures! 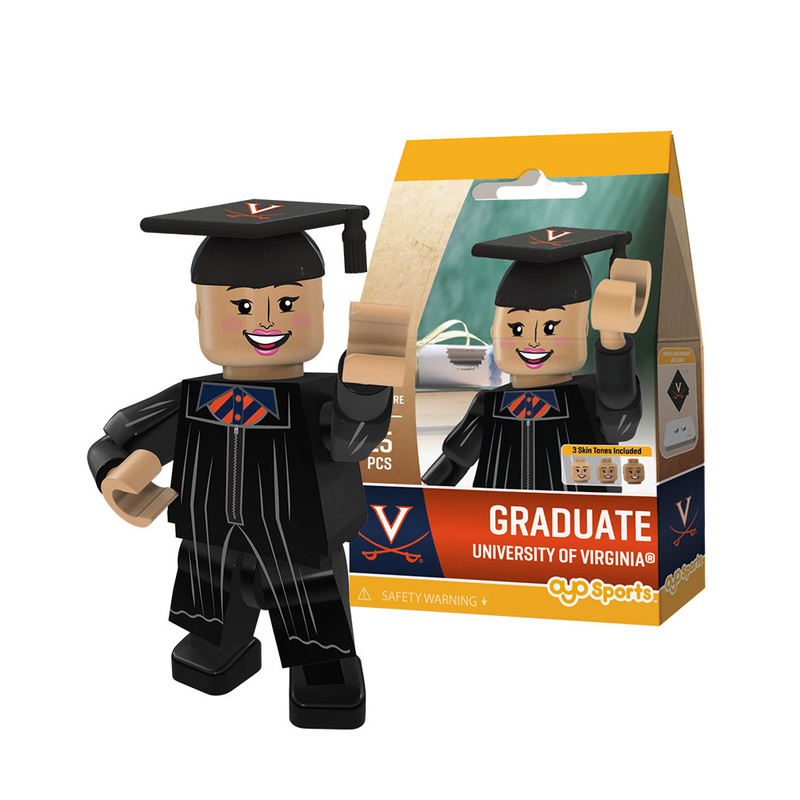 These one-of-a-kind minifigures make the perfect graduation present and come with three different heads and sets of arms for all skin tones. The mortar board is printed with school logo and features a body with black graduation gown! The blouse is also printed with school colors. The perfect gift for the biggest (and littlest!) graduate in your life! Key Features: Bendable knees and poseable arms allow for real-action play. Accessories: Mortar , three sets of arms and heads for different skin tones and a stand to pose your graduate minifigure. Compatible with most building block toys.